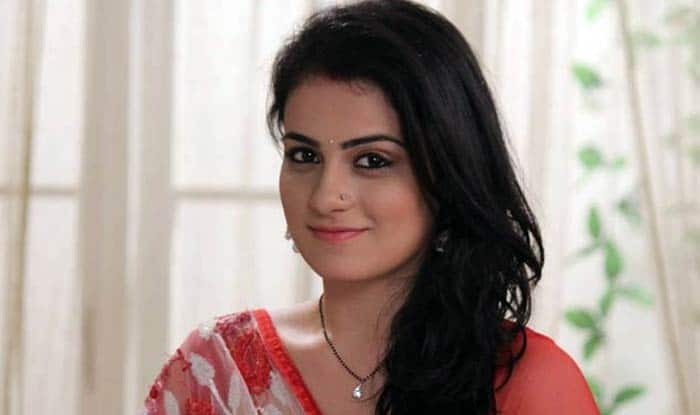 Gorgeous Radhika Madan was last seen in the daily soap on Colors "Meri Aashiqui Tumse Hi" where she had played the character of Ishaani in this. Along with this, she also contested for "Jhalak Reload"which also aired on Colors TV. Radhika Madan is the name of an emerging talent in Indian small screen space but captured all hearts within such a less span. She used to be a dance instructor before stepping into Indian television screens. It was her tantalising beauty will full of innocence which attracted director Ekta Kapoor towards her and she signed for the role of Ishaani. She is sharing screen space with the handsome Shakti Arora who is playing the character of Ranveer in same. She told about her chemistry with Shakti that "Shakti is sweet and makes me feel very comfortable. The best part is that we both share a good chemistry off-screen too. We keep pulling each other's leg, so chemistry comes naturally." She was mobbed by a huge set of the crowd in an event organised at Delhi. It really reflects that she has a huge fan following. Radhika was born on 1 May 1995 in Pitampura ( Delhi ) and presently residing in Mumbai ( Maharashtra, India ). Prominent newspaper Daily Bhaskar reported once that Madan has "become a household name. Radhika was born on 01 May 1995 in Pitampura ( Delhi ) and now residing in Mumbai ( Maharashtra, India ). Her family is still residing in North Delhi's Pitampura. Radhika has also got the award for Best Stylist Jodi, with Shakti Arora and also the winner of Best Debut Actor Award at Zee Gold Awards 2015. Radhika has recently got eliminated from Jhalak Dikhla Jaa 8 as the is being judged by Shahid Kapoor, Karan Johar, Ganesh Hegde and Lauren Gottlieb. b ) Jhalak Dikhla Jaa Season 7 ( 2014 ), Appeared as Guest on Colors TV. a ) In 2015 - Zee Gold Awards For Best Debut Actor.